Until the crash in the southern city of Wenzhou, which claimed 40 lives and injured almost 200 people, China’s high-speed rail network was the envy of the world. The most advanced Chinese bullet trains travelled at over 200mph, completing the 820 mile journey from Beijing to Shanghai in less than five hours. 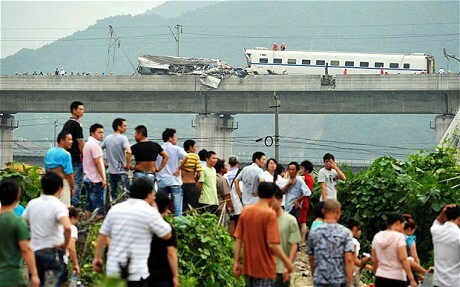 Many observers had voiced safety concerns before the Wenzhou crash, and in its wake, the Chinese government has decided to reassess the safety of the entire network. Chinese banks have been instructed not to lend money for new railway construction and “there is no decision yet on the next move for China’s high-speed railways,” the the 21st Century Business Herald newspaper reported. While China was hoping to recoup some of its investment by selling its high-speed rail technology abroad, including to Britain, those plans have also been suspended.